I hear from a lot of parents who assume that their children will eventually go on to graduate school. And that’s hardly surprising since Americans who earn a master’s degree or a doctorate typically earn more in their lifetimes than the rest of us. For those who dream that their children will someday earn a PhD, I want to direct you to the newest annual survey released this week by the National Science Foundation that contained a huge amount of information about doctoral recipients. I understood little of what Nick said, which isn’t surprising considering that some of his mathematical computations filled entire Power Point slides. Nick passed the exam which means he is at a stage in his PhD that’s referred to in the higher-ed world as ABD (all but the dissertation.) He expects to have his dissertation completed in a year. 1. 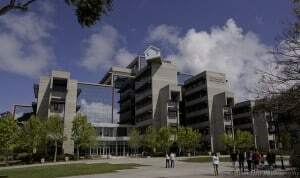 Last year, 49,100 Americans earned a research doctorate from one of 412 universities. 2. The number of research doctorates awarded in this country has been increasing by 3.4% since the inception of the NSF survey in the 1950’s. 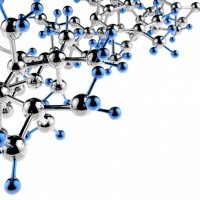 Since the 1970’s, the growth has come from the sciences and engineering. 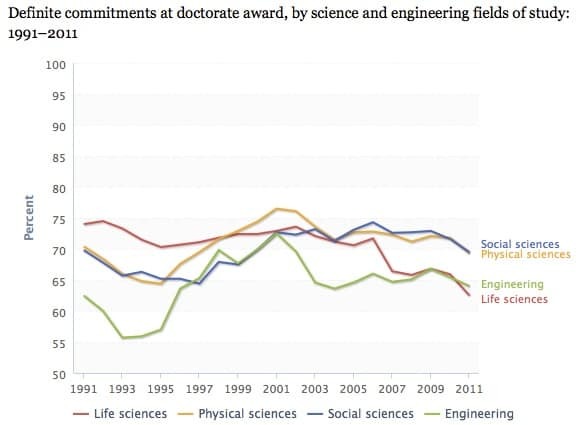 In 2011, 74% of doctorates were awarded in the science and engineering fields. 3. 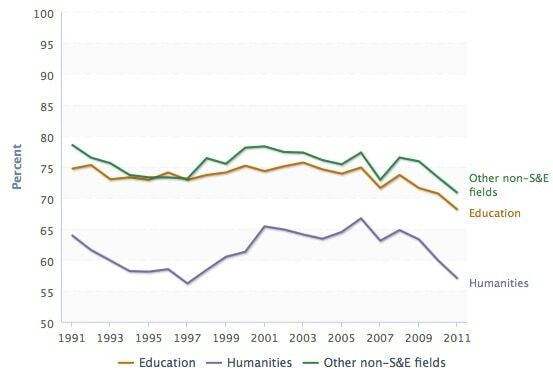 The numbers of doctorates in education and humanities has declined over the past decade. Last year, only 9.6% of the doctorates were in education, 10.6% in the humanities and 5.8% in other non science/engineering fields. 4. More than one out of three doctorates were earned by foreigners holding temporary visas. Over the past decade, 85% of doctorates earned by these foreign students were in the sciences and engineering. 5. Women have earned a majority of doctorates awarded to U.S. citizens and permanent residents in every year since 2002. 6. The chances of your child obtaining a doctorate will be higher if you have an advanced degree yourself. Forty two percent of PhD recipients have at least one parent with a degree beyond a bachelor’s. 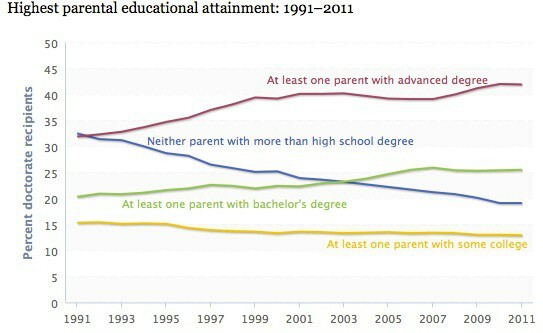 Nineteen percent of doctoral recipients had parents who did not not attend college. Nearly half of all Asian and white doctorate recipients had at least one parent with an advanced degree. 7. It can be a long slog to obtain a PhD. The average time to obtain a doctorate in the sciences or engineering ranged from 6.7 (physical sciences) to 7.7 (social sciences). The average time required to obtain a doctorate in education is a whopping 11. 7 years and 9.3 years for the humanities. FYI, there is a fascinating story in Inside Higher Ed today on the crisis in humanities doctorate programs. 8. Considering how long it takes to obtain a doctorate, it’s a good thing that many students aren’t picking up much of the tab. Few doctorate recipients in the life sciences, physical sciences and engineering had to pay for their education. Only 4% of PhD’s in the physical sciences and 4.5% in engineering had to pay for their doctoral education. PhD students typically serve as teachers and research assistants in exchange for their education. In contrast, nearly 50% of the education PhD’s had to pay. 9. 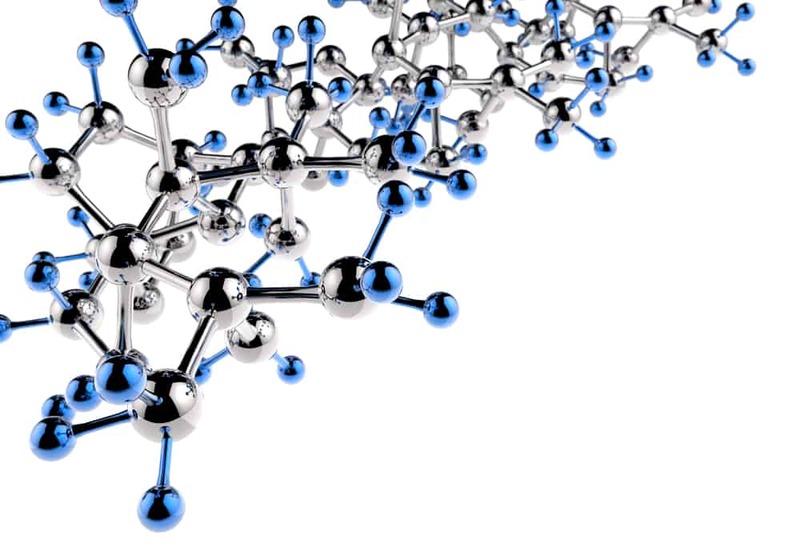 Seventy percent of doctorate recipients in the life sciences and more than three quarters of those in the physical sciences and engineering had no debt related to their graduate education. 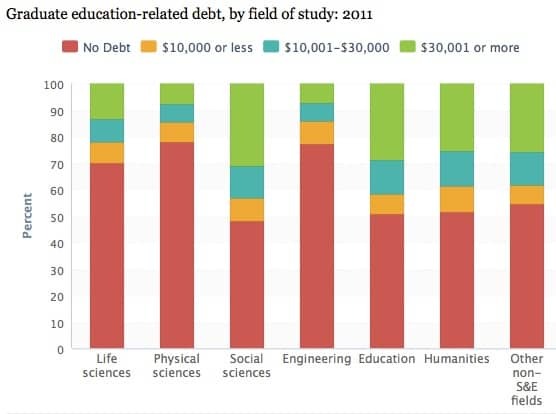 About half of doctorate recipients in humanities and social sciences had no debt. 10. So what’s the job situation for PhD’s? Not that great and especially for the non-science and engineering doctorates, according to the NSF study. The number of doctoral recipients who reported having a job or postdoctoral position dropped to its lowest level in a decade. Sixty four percent of new engineering PhD’s had secured a job or postdoc opportunity versus 72.5 percent 10 years ago. In the life sciences, 62.5 percent of PhD’s had something lined up versus nearly 73 percent in 2001. The jobs and academic opportunities for other doctorate recipients was worse. In fact, the percentage of PhD recipients with jobs or academic gigs waiting for them were lower than at any point in the past two decades. nice information for thank posting…..